Walking in the footsteps of its hit- series Daredevil, the next collaboration inbetween Netflix and Marvel is Jessica Jones. A motion poster has been released and at the same time it’s been revealed that a trailer will hit the Internet on Friday, so stay tunned! Good news for all Marvel fans! 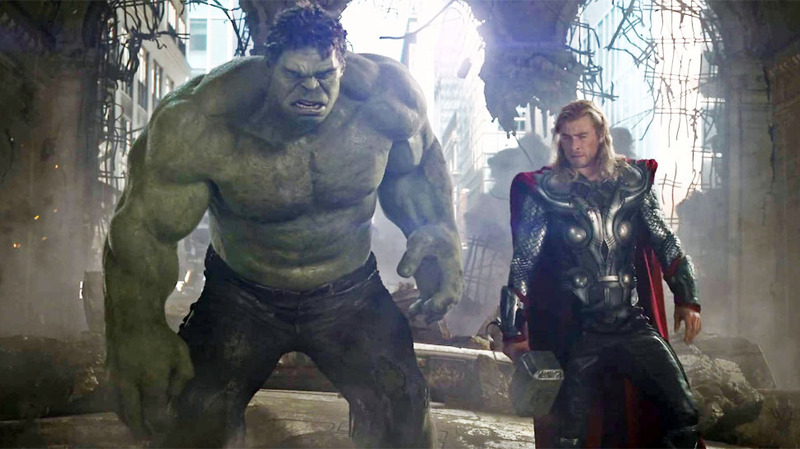 The Hulk has been confirmed to appear in the forthcoming third installment of the Thor- series: Thor: Ragnarok. Deadline are the ones that confirmed the news without leaving any further details. Thor: Ragnarok is currently being scripted by Christopher Yost and Craig Kyle and is scheduled to be released in theaters on November 3, 2017. The trailer was released a couple of days back shortly after it was shown att NYCC. Soon after that, the trailer disappeared but it’s now back online. Make sure you check it out, as there is a glimse at Elektra and Punisher as well as all- new footage straight of the forthcoming second season. Have patience as it might take a couple of seconds for the embedd to load as intended. This picture is taken on page six of Metro Sweden’s Monday’s issue. Looks like the trailer has surfaced again. Unfortunately, it seems that the footage is deleted from YOUTUBE. I am sorry for any incovenience. The teaser was show at NYCC this past weekend and the companies now move forward with the hype by releasing it online. There is all- new footage, coming straight from the second season and we are offered a tease at two crucial characters of the comics: Elektra and Punisher. The first season is now streaming on Netflix and have been received well by both critics and viewers and the hype for the forthcoming season is big enough but that won’t stop Marvel Studios and Netflix from taking a break as beyond the trailer, there is a second collaboration – Jessica Jones – that debuts on the service Friday, 20 November. Daredevil will continue in 2016. This year’s New York Comic Con (NYCC) gave a good show with good discussions, events and new footage released. Darededevil, Jessica Jones, Legends of Tomorrow, Game of Thrones were all there, along with stars of The Walking Dead, Gotham and Xfiles. Check out some of the footage from this year’s @ NYCC below. Check out more of the cool stuff over at Youtube’s page: https://www.youtube.com/watch?v=AbAn1438vFg, it’s definately worth it. #SUPERHERO #MOVIES: The ‘BATMAN V SUPERMAN’ SDCC Trailer Has Passed 50 Million Views! As you can see in the screenshot above, the BATMAN VS SUPERMAN trailer released at San Diego Comic Con has now passed 50 million views. You can also observe that the SUICIDE SQUAD trailer released after the convention has surpassed the BvS trailer with over 54 million views.